Now selling Crowlers. Fill it fresh from one of our 20 taps and seal it up to-go! across from McMenamins Tavern & Pool! 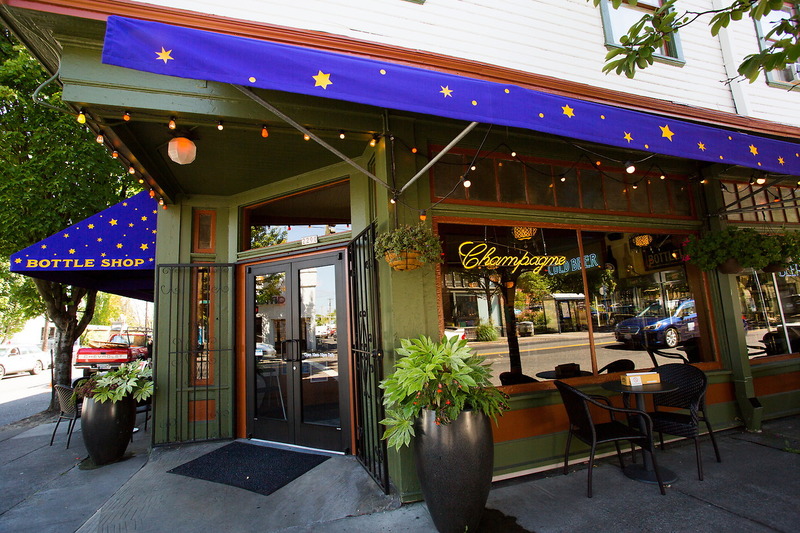 Or choose from one of our 20 rotating McMenamins' and guest beers and ciders on tap. Stay for a pint, get your growler filled, or a try a Crowler® of your choosing. We’ll pour and seal a 32-ounce Crowler to go, and it will last up to six months. A Rubinator (Ruby + Terminator), perhaps? So stop in, have some samples, and pick up necessities for your bar or as gifts. 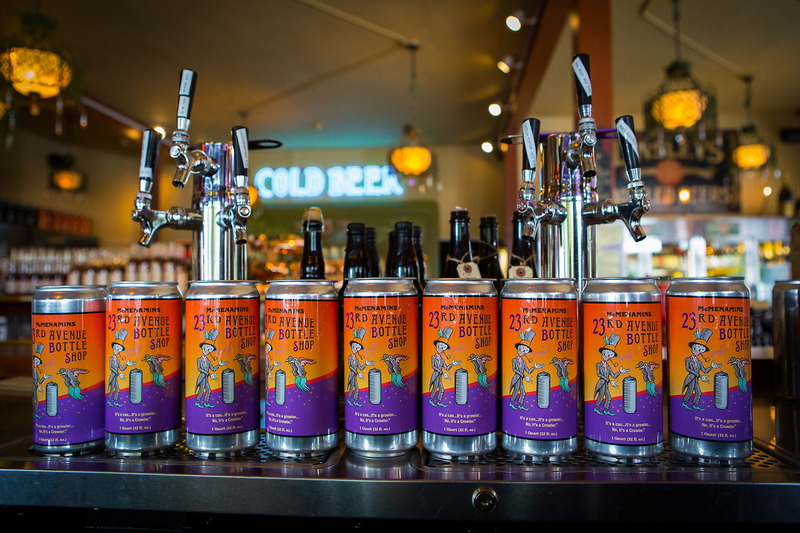 We also offer a discount on each case of 24 McMenamins cans; get your case of Ruby cans, Hammerhead cans, or a mix, for $60. Bring a 2-quart growler to get a fill of any McMenamins Beer for $7 off the regular Growler fill price. Come in and get a 1-quart Crowler fill of any McMenamins Beer or Cider for $3 off the regular Crowler fill price. Bring a 2-quart growler to get a fill of the Wednesday special. *this price applies to Edgefield Cider & the Seasonal Cider. The 2-quart Growler fill special for Small Batch Ciders is $24. Bring a 2-quart growler to get a fill of any Guest Beer for $5.00 off the regular Growler fill price. In a hurry? A limited number of parking spaces are available next door for easy in and out shopping. The Bottle Shop is all ages (21 and over to drink) and also allows pets while you shop and at our sidewalk seating. Lemon Ginger Elixir- 2mg CBD/oz. The shop was owned by Homer Medica (first photo taken in 1985, the second more recently) and his mother Rose, who were longtime friends of McMenamins. In 1993, famed Portland author Ursula K. Le Guin (writer of more than 80 short stories, two collections of essays, three volumes of poetry, and 16 novels) published a photo essay book calledBlue Moon Over Thurman Street, in which she and a photographer documented all 45 blocks of people and places. As a fixture of the neighborhood, Homer was interviewed for Le Guin's book and was included in her acknowledgements. A recent book review said: "What was new or soon to be, already has faded, just a little. While the book is wistful and worried of an ugly future, the street itself abides. Old families remain. Nice new shops have opened. Houses are restored. It's still a very beautiful street and it still spans everything from industrial to commercial to rich and not so rich." We are pleased to continue the legacy of this welcoming neighborhood joint, albeit in a slightly different fashion than Homer did. 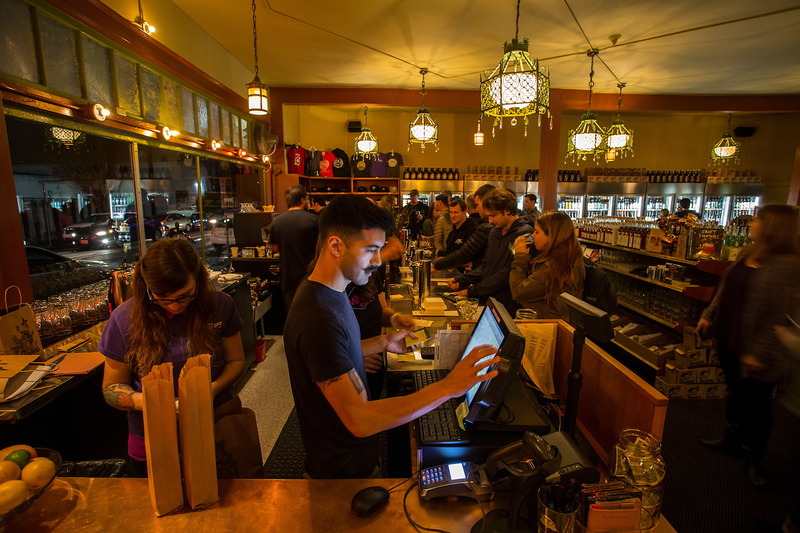 Instead of sandwiches and soda and bubblegum, McMenamins will serve up eight-hundred-plus bottled craft beers, ciders, wines and spirits, both from McMenamins and around the world. Not only that, but the shop will feature sparkling wine, weekly cocktail specials, growler fill specials, small bites and 20 taps featuring our own beers and ciders, plus rotating guest brews. So, head to the north end of NW 23rd to get all bottled up.